David L. Cohen is one of the founding partners of the law firm of Berkowitz Cohen & Rennett, a Professional Law Corporation. Prior to founding his present firm, Mr. Cohen was with Neufeld Marks, a Professional Corporation in downtown Los Angeles. Mr. Cohen was also a founding partner of the labor and employment law firm of Cohen & Goldfried. Prior to forming Cohen & Goldfried, Mr. Cohen was a partner at Richards, Watson & Gerson, where he served as Chairperson of the Labor and Employment Law Department and as a member of the Management Committee. Mr. Cohen graduated from the University of California at Berkeley and Hastings College of the Law, University of California. He is a member of the Labor and Employment Law Sections of the State Bar of California, the Los Angeles County Bar Association and the American Bar Association. 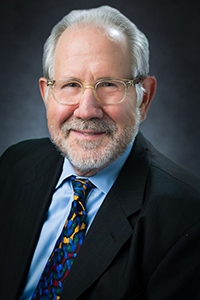 Mr. Cohen has practiced labor and employment law for more than forty years representing employers of all size and in every sector of the economy. Mr. Cohen advises companies with respect to the full range of employment and labor law matters. He advises and represents management in connection with sexual harassment complaints, wrongful termination suits, federal and California nondiscrimination in employment laws such as the Americans with Disabilities Act, Title VII of the Civil Right Act of 1964, the Age Discrimination in Employment Act, and the California Fair Employment and Housing Act, workers’ compensation discrimination claims, overtime pay claims including issues associated with the exempt and nonexempt status of employees, wage-hour disputes, labor and employment issues related to mergers and acquisitions, federal and California WARN acts, and all matters involving the representation of management in respect to labor unions, including union organizing drives, secondary boycotts and unfair labor practice proceedings. He has served as the chief management spokesperson during the negotiation of numerous MOUs/labor agreements in the public and private sectors. He has represented employers before state and federal administrative agencies. Mr. Cohen conducts training seminars for executives, managers and supervisors on employment topics such as documenting employee performance, identification, prevention and elimination of sexual and other types of workplace harassment, and avoiding and reducing legal costs and liability when terminating employees. An integral part of his services is the development of effective personnel policies and procedures tailored to meet the specific needs of the employer. Mr. Cohen has often addressed professional and trade associations on labor and employment issues.